The AIDA model is very simple and extremely effective when you understand it. In this post, we are going to walk you through the funnel and show you how to apply it to your sales and marketing efforts. At the end of this article, you will know how to generate better leads, how to build and nurture relationships, and how to accompany those leads all the way to purchase. Note: not all leads are buyers and therefore it is important to remember that people will drop off as they go through the funnel, this is normal. What is the AIDA Model? The AIDA model implies that buyers move through a series of steps when making a purchasing decision. 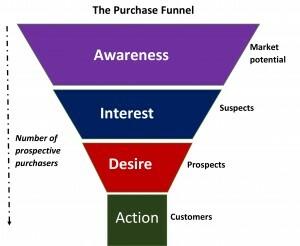 Businesses use this model to lead customers through the funnel from the first point of contact right through to the purchase. The sales funnel is divided into four simple steps, frequently referred to as the AIDA model: Awareness (or attention), Interest, Desire, and Action. Before we get into the stages of the AIDA model, let’s first set our objectives. Remember everything starts with a plan and a target goal. Goals give direction so, what is the ultimate action you want your leads to take, what outcome are you expecting and how are you going to journey them from A to B? You must then think about the content and the tools you need to accompany your leads through each stage of the sales funnel. 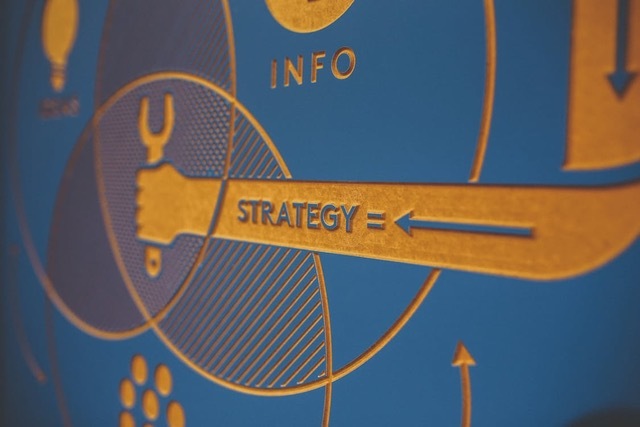 Take a look at this blog post for ideas on how to get started with your content marketing. The first stage is when the buyer becomes aware of your company, brand and offering. Brand Awareness is defined as the “extent to which a brand is recognised by potential customers and is correctly associated with a particular product.” The aim is to establish a presence in a very crowded marketplace, to build awareness of your company and product or service and to capture the attention of your target audience. We want people to start recognising your brand and have an idea of what you do. You are not selling anything at this stage. For this stage, it is important to know who your prospective customers are and where they hang out (Facebook, Twitter, Instagram, forums, etc). Then, you need to prioritise which tools and platforms you will focus on and what you are going to say. This preparatory stage is vital to the success of any campaign so please do not skip this process. What you do now will determine the quality of leads you capture and ultimately the number of new customers and sales you will generate. 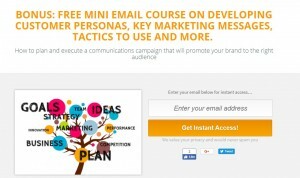 If you need help for this research and preparation stage, I suggest you grab this FREE guide on how to create your first Marketing Communications Campaign. 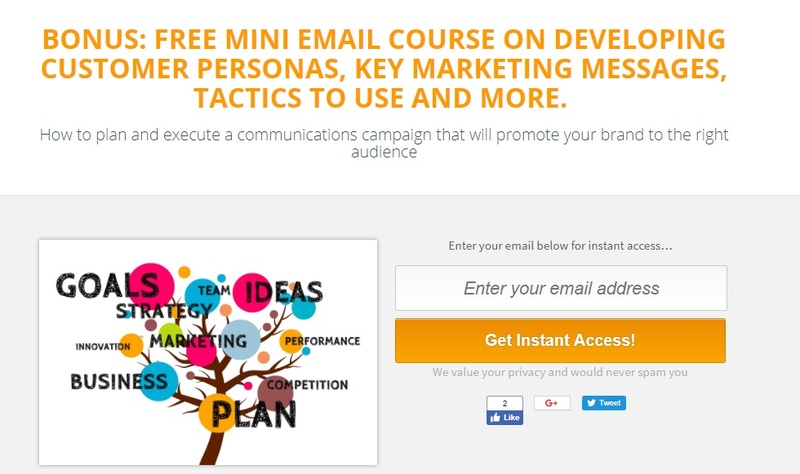 You will also be automatically enrolled in my free mini email course that walks you through the process of setting objectives, developing customer personas and creating key marketing messages. This stage is going to separate the wheat from the chaff so to speak. The aim, therefore, is to generate sufficient interest in the benefits of your product or service encouraging the potential buyer to research more. Igniting interest can be done through the creation of high-quality and relevant content that will add value to the lives of your prospective buyers. You can do this is by writing blog posts for your website, posting videos on YouTube, then promoting those assets across your social networks and, if possible, on third-party partner websites. If you have the budget and know what you are doing, you can also promote your website and relevant blog posts through highly targeted Pay-Per-Click (PPC) advertising on Google and/or by boosting some posts of Facebook, for example. So now that we have aroused curiosity and interest, it’s time to start building a relationship with those people before they forget about us. The key here is to offer something enticing that will help your prospects in one way or another. This could be a cheat sheet, a checklist, a discount, a recipe, an e-book – you get the idea. The goal is to capture the contact details of those who are genuinely interested in knowing more about your business and your offering so that you can form a relationship with them. Take note that people are not going to give away their contact details without something of high value in return. So, you really need to think about what you can give your target audience in exchange for their email address. If you did your research properly in the first stage, you should know exactly what your target audience needs. For the sake of simplicity, let’s say that you have created a 1-page checklist that will save your customers lots of time and headaches. Next, you must upload it to your website as “gated content” so that it can be downloaded only when someone supplies their name and/or email address. Note – keep your sign-up forms short, the less information you ask for, the better the chance of them subscribing. There are several ways that you can do this: place a simple Call-to-Action pop-up on your website and insert another sign-up form within relevant blog posts. Create a dedicated landing page on your website like this one where you can drive traffic from social media and other channels. You also need to integrate your email service provider (Mailchimp for example) with the lead capture plugin on your website (SumoMe, Mailmunch, etc) so that all leads are automatically uploaded to your email database. Once you have email addresses its time for you to get into action and start building a relationship with your prospects. Remember the key here is to eventually make a sale. This stage will take time, depending on the market you function in and the product or service you are selling. The more expensive the purchase, in general, the longer it will take the customer to make that decision to buy. Here is where email marketing plays a crucial role in developing that relationship, through the delivery of regular high-value information, that will help build authority and trust. Remember, people buy from people so nurture that relationship by being helpful, giving as much information as you can, being proactive in answering any queries and of course not spamming people with pushy sales emails every other day. If you continue to nurture the relationship, with consistent and valuable communications, those who are genuinely interested will eventually make a purchase. Whether you're looking for inspiration to launch your own start-up, the latest insights into the Tech Startup scene or tips on how to manage your startup - we've got it covered. This site was created by entrepreneurs to be a starting place for people interested in setting up their own business. Join the Startups newsletter to get the latest news and information about Startups in Ireland. 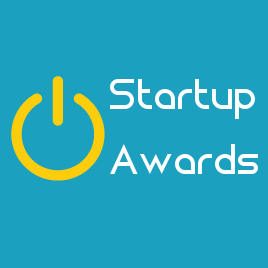 Startups Ireland C/O Westrock Media Ltd. Unit 102 Millennium Trade Park, Cappagh Rd. Ballycoolin Dublin 15 Ireland.